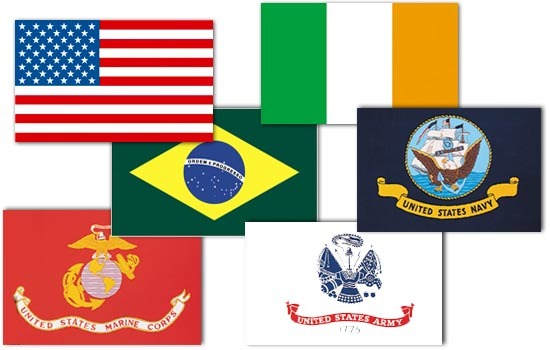 We stock a variety of sizes in American Flags as well as certain specialty flags (ex: U.S. Marine Corp., POW/MIA) and can order virtually any flag that you may need. We also stock a variety of flag poles and mounts. We can also create custom flags to meet your needs - call us today!